The Aurora Black 8-Digit EcoCalc Pocket Calculator is made from recycled plastic and comes in packaging made from 90% recycled paper. 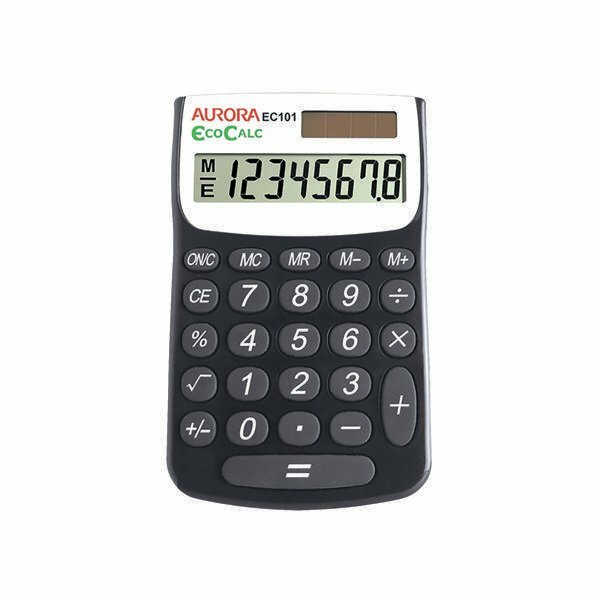 It has a range of features that make it ideal for every day calculations, featuring a large, 8 digit display screen for easy visibility. As well as large, easy to use number keys, it also has three separate memory functions and is powered by a solar panel for extra reliability.